Outlander Starz | Great Scot! Fàilte gu Alba a h-uile duine! (Welcome to Scotland everyone!) If there was anyone who was not sure of the main locale for the rest of the season, the change in the main title sequence should remove any doubts. Not just that, but the baroque arrangement of the Sky Boat Song has been altered in favor of a much more Celtic version complete with drums providing the illusion of cannon fire in the last verse and then melting into the very martial sound of snare drums as the episode proper opened. And is it just me or did everyone breathe a little bit easier now that the show and our favorite couple are back in the familiar surrounds of Scotland? 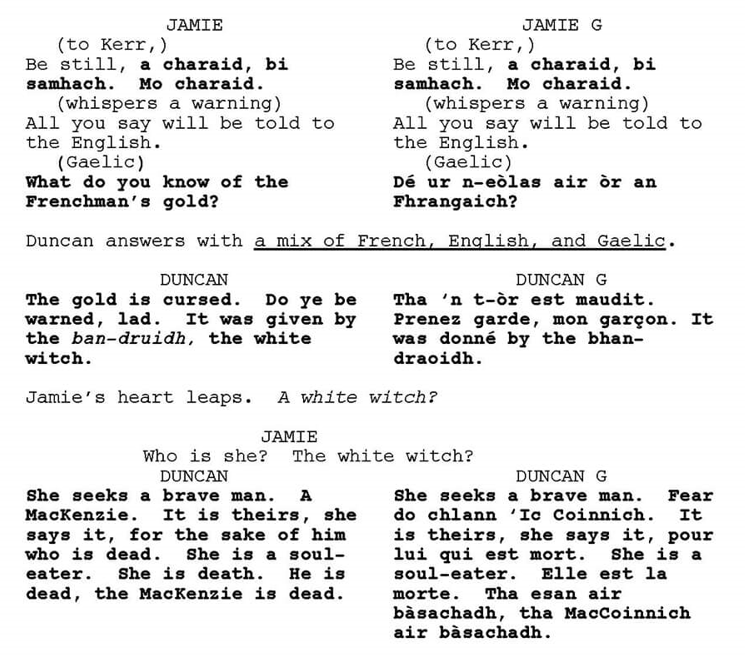 I’m expecting the Gaelic to be a bit more plentiful now and this episode sure didn’t disappoint. We had, in my opinion, the most beautiful Gaelic scene since episode 116. 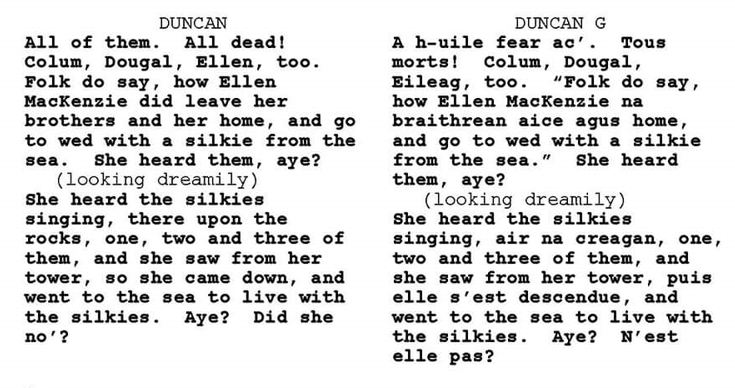 Thanks for everyone’s patience as I worked to make sure that I got the Gaelic translation correct for what actually made the episode’s final cut, and not just what was in the script.